I’m not much for watching a movie or TV show twice. After all, you already know the end, right? And I don’t think I’ve ever paid to watch a movie twice. But this week I found myself in the position of listening to Jeff Bellomo and Lou Leyes pretty much having the same conversation that they had in Phoenix way back in October, and I’ve got to tell you … I enjoyed it even more the second time, picking up more gems after hearing it twice. Jeff and Lou give the inside scoop on the financial advisor’s world. As a financial advisor, Lou shared how to get into that world, and gives tips on how to find financial advisors who would be good fits for working with LWP member firms. The title is “Busting Financial Advisor Myths,” and if you're a member and missed it in Phoenix, then you’re in luck. It’s posted on the LWP member website and available to members. It’s always a bad idea to cash out an IRA. Clients should never use trusts because trust rates are too high. Annuities are the greatest thing since sliced bread. The best way to avoid probate is to use beneficiary designations. Asset protection planning isn’t necessary when clients have the right insurance policies in place. Medicaid planning is bad and unnecessary for my clients. Just to let you know, I’m not alone in my appreciation of this presentation. I think it received some of the highest member ratings ever when it was presented. Folks, this is a “must see” for anyone who is using the Relationship Management Process (“RMS”) or planning to implement the process. I’d like to personally express a huge “Thank You” to both Jeff and Lou for sharing their insights. If you want to learn more about what Lawyers With Purpose has to offer your Estate Planning or Elder Law Practice, join us in Charlotte, NC, February 3rd - 5th for our Practice With Purpose Program. Hotel cut off is January 12th so register today. For registration information contact Kyle Russ at kruss@lawyerswithpurpose.com. Nedra Catale - Coaching, Consulting & Implementation, Lawyers With Purpose. What To Do With... "Trust Or LLC?" Many lawyers create LLCs to provide clients "asset protection" in the event they own an asset that has a risk of a lawsuit. A typical asset put in an LLC is rental real estate to ensure the client is protected from liability that could occur at the rental real estate. When the proper trust is used and the ultimate goals of the client are protection from liability of the asset and protection of the asset from his liabilities, then a trust is usually better. Instead of conveying the rental real estate to an LLC (which only protects the client from risk from assets), a single-purpose irrevocable pure-grantor trust can also protect the high risk asset from loss from the clients liabilities (i.e. nursing home). In addition, a pure-grantor trust is included in the clients’ taxable estate at death, which assures a full "step up” in basis on the real estate, even after a lifetime of depreciation. Similar to an LLC, it assures the client asset protection from any liabilities that could occur by the high risk asset. The distinct advantage of the trust, however, is that it also protects the rental real estate from the client’s personal liability, like lawsuits not related to the real estate and a client’s long term care costs. One benefit I never expected was clients’ desire to maintain privacy. Many of my clients who use trusts, relish not having to file with the state for an LLC which often requires an annual fee, and separate income tax returns. Surprisingly, clients highlight the benefit of not being on the “mailing list” of solicitors who target those who file LLC’s with the state. A final significant benefit is that a single-purpose IPUG integrates into the client's traditional estate plan whether it is a revocable living trust, an income-only irrevocable trust, a control-only irrevocable trust or a third-party irrevocable trust. While lawyers have traditionally used LLC’s, many clients prefer trusts when the distinctions are properly discussed. My clients choose the single-purpose IPUG™ three to one over an LLC. For more information on what Lawyers With Purpose has to offer, join us in Charlotte, NC, February 3rd - 5th. We'll go over this strategy and many more over the period of 2.5 days! Hotel cut off is January 12th so register today to reserve your spot! For registration information contact Marci Otts at motts@lawyerswithpurpose.com or call 877-299-0326. Many clients wonder if their non-qualified annuities are “safe” from their creditors and predators. The quick answer is no. Not only can general creditors and predators gain access, the loss of an annuity to long-term care cost is common. In either event an annuity is an asset that is subject to the risk of creditors. The most common strategy, to avoid loss of annuities to creditors is to annuitize them. While this protects the annuity, it takes away the value of the underlying asset and converts it to an income stream which also can be attacked. An annuity can be protected from nursing homes and general creditors, without annuitizing it, by putting it into an irrevocable pure grantor asset protection trust. It permits the grantor to be trustee retaining full control in management of the annuity. In addition, the client gives up minimal rights that ensures full protection underlying annuity without having to annuitize it or liquidate it. Should the client ultimately need the income stream generated by the annuity they’re still given the right to annuitize or take periodic distributions without annuitizing it. See full legal analysis and client benefits of iPug™ protection trust. The beauty of utilizing an IPUG trust is by changing the ownership of the annuity to the trust instead of the client, there is no tax impact as an irrevocable pure grantor trust is a grantor trust for income tax purposes and utilizes the client’s Social Security number as its tax I.D. Under the tax law, no transfer of ownership has occurred and no tax generated, but, asset protection is achieved. The distinctive planning strategy continues by naming a proper beneficiary of the annuity, not just changing the ownership. As a standard practice the trust should be named beneficiary to ensure all of the protections granted by the trust. In addition, it allows distributions to be made to beneficiaries other than the grantor, to ultimately achieve the goals of the client for their estate plan. Protecting clients annuities without causing taxation and not having to subject clients to early termination penalties are great benefits of transferring annuities to an iPug™ trust rather than having to liquidate or annuitize them. The attorney of a wartime veteran filed a claim for pension with aid and attendance, just like he had done many times before, using VA Form 21-526, Veterans Application for Compensation and/or Pension. Yet, this time was different. His claim was denied for submitting the wrong form. How can this be the wrong form? It says right in the title of the form, Veterans Application for Compensation and/or Pension. Pension is the benefit being sought. The most recently published form is November 2014, thus, the form itself is not outdated. I cannot answer the above question. What I can share to all advocates who are accredited by the VA to assist veterans with claims is that the VA prefers, and is apparently requiring, that all claims be submitted through the Fully Developed Claims (FDC) process. There are specific application forms for this. For Veterans filing a claim for service connected disability benefits, use VA Form 21-526EZ, published in January 2014. For Veterans filing a claim for Improved Pension (which may include aid and attendance), the VA Form 21-527EZ is the appropriate form. It was published in August 2011, which is still the most current form to use. For Widows of Veterans, the 21-534EZ must be used, which is dated June 2014. Unfortunately, what can be confusing is that the other, non-FDC application for widows, 21-534 (without the EZ), is also still available to file and was also published on June 2014. Like the 21-526, which permits a person to file an application for pension, the 21-534 (without the EZ) may be rejected because it is not on the EZ form. As long as the claim is filed on a currently available, currently published (not superseded) form, then the VA should accept the claim, even if not on the EZ form. Go to: http://www.va.gov/vaforms/ to obtain the most current forms available. What do you do if you filed an application for benefits but it was rejected or denied for having been filed on the “wrong” form? Submit a new application using the correct form. The good news, per the current law, is that even though the wrong form was completed, filed and rejected, the VA must still treat that “communication or action” as an “informal claim” for benefits. The advantage of “informal claim” recognition is that the filing of an informal claim “locks in” the eligibility date for approval of benefits. Thus, even though it feels like you are starting over with the claim, the approval should be retroactive to when the original claim was filed, albeit on the incorrect form. Time in processing the claim may be lost, but not the actual benefit itself during that time. For more information on the day-to-day operations and expectations of the Veterans Administration, become a member of Lawyers with Purpose and attend our monthly training webinars, led by national Veterans Pension Benefits expert and co-founder of Lawyers with Purpose, Victoria L. Collier, Certified Elder Law Attorney, through the National Elder Law Foundation. Victoria Collier has been the leader at teaching lawyers how to help Veterans. She is providing the 3 hour accreditation training on February 4, 2015, in Charlotte, North Carolina for just $249! Even if you have had the initial accreditation, this course will also meet the on-going accreditation requirements. Each lawyer who is accredited must continue to take 3 hours of CLE every 24 months. In addition to the required information, Victoria will bring you up to date practices by the VA. If you are just a beginner or a seasoned VA practitioner, you are certain to learn something. And, because it is live training, you will have the opportunity to ask questions. Don’t miss this opportunity! To register contact Kyle Russ at kruss@lawyerswithpurpose.com. Seats are limited so register soon. Take Care Of This At The Beginning Of The Year! Don’t wait until the last minute to take your required VA accreditation course. Frantically searching for an organization putting on an event or for a recorded session you can download. Instead, take control and attend Victoria Collier’s live VA Accreditation training on February 4, 2015 in Charlotte, NC. Victoria always brings cutting edge information about what the VA is doing now. In addition, whether you need you initial accreditation or on-going CLE to maintain your status, this course will meet both goals. Make 2015 a year when you complete this task early so that you won’t need to worry about it for another 24 months. We've only got 30 seats left so reserve your spot now. Contact Kyle Russ at kruss@lawyerswithpurpose.com to register today. You don't want to wait, this event will sell out! The biggest challenge of most Medicaid planning attorneys today is how to plan when the majority of the client’s assets are in qualified funds. Let’s review the law. An IRA under the federal Medicaid law is an available resource. The exception to the general rule is if the IRA is annuitized. Once annuitized the IRA is no longer considered an available resource, but the income generated from the IRAs monthly pay out is considered income to the applicant in determining eligibility for Medicaid. The confusion occurs in many states exempt an IRA if required minimum distributions are made, rather than requiring it be annuitized, which protects the IRA. A recent trend over the past two years, however, is states are beginning to take the position an IRA is an available resource unless annuitized and I expect this trend to continue. So, what are your options? There are primarily only two options in this case. The client can annuitize the IRA, in which he or she converts the entire lump sum into a stream of payments that end at the death of the client. This rarely serves the long-term goal of the client which is to ensure there is some benefit left for his or her heirs. The alternative is to liquidate the IRA, pay the taxes and put the balance into an asset protection trust. The question is knowing when to pull the trigger to liquidate. For LWP members, they use the IRA liquidation analysis software to calculate the point of no return, when the client would have lost more to the nursing home by distributing the RMD than had they liquidated and paid the taxes to the IRS. For others it’s more obscure. But either way the critical issue comes down to the cost offset. If a client is in the nursing home, then use of the IRA is a great way to get the maximum benefit of the IRA because the cost of the care is tax deductible expense that offsets the taxable distributions from the IRA. This gives the owner the maximum benefit from the IRA and acts as an additional cash benefit to offset long term care costs equal to the amount liquidated multiplied by the IRA owners’ tax rate (usually 20-30%). Preplanning however, requires a different analysis in identifying the age in which the client begins to liquidate the IRA to ensure that the overall tax rate that they will pay will be far less than what their beneficiaries would pay. Either way it is a viable solution if you’re doing the proper analysis. For a demonstration of how LWP calculates its IRA liquidation analysis contact Molly Hall at mhall@lawyerswithpurpose.com. If you want to learn more about planning with IRAs and more specifically learn more about Clark v. Rameker - the recent court decision that set new precedent that inherited IRAs are not protected from creditors and preditors, join our Free Webinar TOMORROW at 7:00PM EST. Click here to register now! Share the key holdings of the recent Supreme Court decision. Discuss the asset protection strategies available for inherited IRAs. Identify the four requirements for trusts to qualify to own IRAs without causing taxation. Review the "inside" and "outside" planning strategies we have used for years to protect inherited IRAs and provide clients with the maximum number of options at death to avoid the loss of an IRA to creditors and long-term care costs. Just register here and reserve your seat... it's 100% FREE! If you're an existing Lawyers With Purpose member, good news! You already have access to this information on the members' website. The US Supreme Court in Clark v. Rameker (June, 2014) solidified that children or other “non-spouse” individuals should not be named the beneficiary of an IRA, if asset protection is a goal. The court, in a 9-0 decision, declared that an inherited IRA is not a “retirement account” and allowed the bankruptcy trustee to invade an IRA inherited by the debtor (child), to pay her creditors. The decision set the new precedent that inherited IRAs are not protected from the creditors and predators of its owners. Click here for a decision tree on naming your IRA beneficiary options and the asset protection impact. The Supreme Court decision left intact the ability to name a spouse as beneficiary, since a spouse has the right to create a new IRA or combine the IRA of the deceased spouse with his or her existing IRA. While this method may appear to protect a spouse’s inherited IRA, it is not a viable approach when an individual dies without a spouse, or if the surviving spouse is in need of long-term care. There is however, a foolproof way to protect IRAs after death, regardless of circumstance. Name a trust as beneficiary! Most legal and financial professionals will grimace at the idea of a trust being named beneficiary of an IRA. They believe that doing so makes the entire IRA taxable at death or will result in the loss of the “stretch” and force it to be paid out within five years. This is true only if the trust named beneficiary is not a “qualified” pass thru beneficiary, but if it is, it enjoys all the benefits the trust beneficiaries would receive as direct beneficiaries. 4) a copy of the plan document must be provided to the plan administrator. While there are some complexities in complying with these rules, once understood and properly applied, naming a trust as the beneficiary is the only way to ensure asset protection of inherited IRAs in the post Clark v. Rameker world. When properly drafted, a Revocable Living Trust, an Irrevocable Pure Grantor Trust (iPug™), a grantor trust or non-grantor trust can be utilized. The drafter of the trust must distinguish the “inside” designation strategy from the “outside” designation strategy. That is, how to structure the beneficiary designation on the IRA beneficiary designation form and integrate it with the beneficiaries designated in the Trust to accomplish a myriad of scenarios for the surviving spouse (or other beneficiaries) that do not have to be decided until after the death of the IRA owner. Click here to download a copy of the LWP IRA Beneficiary Designations Decision Tree. And to learn more about Clark v. Rameker join our FREE webinar THIS Wednesday, December 17th at 7:00 ET. Register now. It's 100% free! We'll see you then. The entrepreneurial seizure happens when the natural technician who enjoys doing the work finally has a different experience – frustration. The technician says to himself, "Wait a minute, I didn’t start my own business to do data entry nights and weekends." He or she believes they must be missing something. In that moment, their fate is sealed. As lawyers, we are technicians. In "The E-myth Revisited," Michael Gerber explains that most business owners make a fatal assumption. They understand the technical work, so they mistakenly believe that means they also understand the business that provides the technical work. Unfortunately, this is simply not true! And this belief that they know enough ultimately leads them to failure. Most lawyers fail because they never had any formal training on how to run a business. It's not enough to perform as an outstanding lawyer. You probably don't know enough about finance, marketing, management, and operations. The good news is, these subjects are easy enough to learn. As Gerber says in his book, "You must analyze your business as it is today, decide what it must be like when you've finally got it just like you want it, and then determine the gap between where you are and where you need to be in order to make your dream a reality. And then delegate the rest." I have the tool to help you start to do that: Pay Per Trust back-office trust drafting. Walk into 2015 without the baggage of 2014. FINALLY get control of your business's financial health, delegate the admin so you can focus your time on meeting with clients to actually increase cash flow. The bottom line is, this tool will free you up to focus on revenue-generating activities without increasing your overhead. Click here to take full advantage of back-office trust drafting and received $100 off your first trust using the discount code of “HOLIDAY”. But act now, because this offer ends 12/31/14. What Infrastructure Do You Really Need To Run Your Practice In The Cloud? Every now and then technology forces businesses to change the way they operate. The typewriter led to typing pools and carbon paper before being replaced by word-processors on mainframes and then on personal computers. The fax machine replaced the need for some postal services and is in turn being replaced by email. Similarly, for small to medium sized businesses, cloud computing is replacing the need for in-house networks and servers. In the beginning stand-alone PC’s were simple to deal with, however the benefits of linking them together quickly became apparent, and this gave rise to the “local area network” (LAN). Things quickly became complicated and business owners no longer had the skills, or the time, to deal with this. Information Technology (IT) consultants stepped in to fill the void and a new industry sprang up. Cloud computing has arrived, and allows the complexity of networks and shared services to move out of the office and onto the Internet (a.k.a. “the Cloud”). Business owners no longer have to concern themselves with technology and can focus their full attention on their businesses. The smart IT consultants have embraced the change and have found greater opportunities to engage with their clients at the application layer. Rather than crawling around under desks hooking up wires and servers the new breed of IT consultants work with their clients on things such as selecting the best cloud technologies and adapting them to match their client’s business processes. Business owners immediately see the value of this type of engagement because the consultant is talking to them in terms they understand; sales conversion, production workflow, document automation, efficiency, profitability, etc. Unfortunately not all IT consultants have made the transition and many are still encouraging business owners to install complicated and expensive in-house technology over superior and more affordable cloud options. 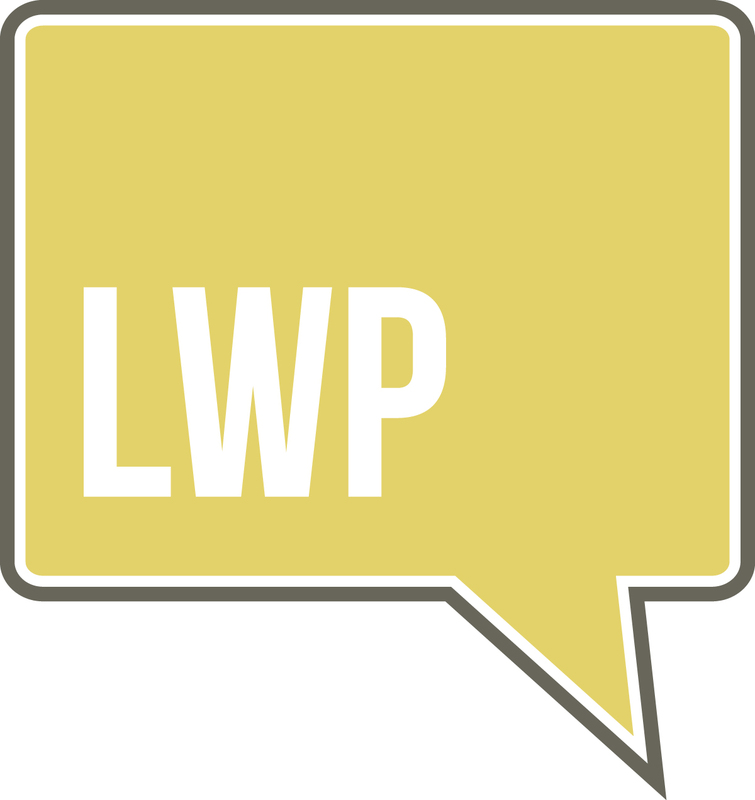 To register for our Webinar TOMORROW at 4:30 EST to learn more about the LWP/Action Step Cloud Based Workflow System, and get your questions answered register now! It’s holiday time, your team has been pre-approved for planned vacation time and you have seven clients who have hired you in the past two weeks. Well, last week you finally had the time to sit down with Jolie, your drafter, to go over all the files sitting on the floor in the north corner of your office. Jolie reminds you that you approved her vacation time in August. She’s out Wednesday and won’t be back for eight business days. The clients are scheduled for their signing meetings the day after she gets back. You won’t have time to review the trusts, make the changes, and print and assemble the documents. You will have to work nights and weekends and, between all the trying band concerts, choir concerts and white elephant parties your wife already committed you to etc., your weekends and evenings are not exactly looking like an available resource. That is why I am personally enthusiastic about the “Pay Per Trust” model. Finally law firms can outsource their back-office administrative activities to free themselves up to meet with clients and referral sources – the activities that create consistent cash flow. And the best part is, this will also enable the team to focus on client services and referral relationship management. No contract at all. Only pay us when you have a client, whether that is once or multiple times a month. Try our back-office trust drafting and received $100 off your first trust using the discount code of “HOLIDAY,” but act now – this offer ends 12/31/14. Click here to find our how to “try it on,” and if it doesn’t fit, you don’t have to show here again. But I highly doubt that will be your result.